Anything related to The Witcher series is a treat in itself, and this day couldn't get better. 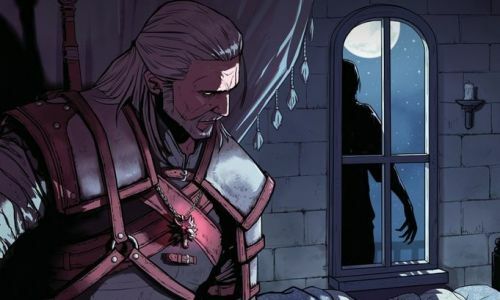 Announced on Twitter via The Witcher's official page that Geralt of Rivia's adventure ain't over yet as he returns to hunt monsters and solve mysteries in this new comic series called The Witcher: Of Flesh and Flame. The first volume is already out and here's what the info says. * A new series featuring fan-favorite characters, including Geralt and Dandelion! * The first issue of a new miniseries, the perfect jumping-on point! Okay, so this seems like a perfect Christmas present for anyone of The Witcher fans since everyone has been anxiously waiting for more content from this iconic saga. Of course, CD Projekt Red has been listening to their fans and recently released a single player strategy RPG called Thronebreaker: The Witcher Tales on PC, PS4 and Xbox One to genuinely positive reviews. The game has a Metacritic score of 85/100. In other news, Netflix's The Witcher just recently revealed its casting for the upcoming show which includes Henry Cavill as the Geralt of Rivia, Freya Allan as Ciri and Anya Chalotra as Yennefer of Vanderberg in the lead roles.